Mahindra has launched its first ever vehicle in the United States called the Roxor. The Mahindra Roxor will only be for off-road use and will be made in the United States near Detroit. Mahindra has unveiled an all-new off-road only (not street legal) vehicle in the United States. The new SUV called the Mahindra Roxor will be made at Mahindra's new Auburn Hills manufacturing facility near Detroit, Michigan and will be available soon at a starting price of about $15,000 or about ₹ 10 lakh. 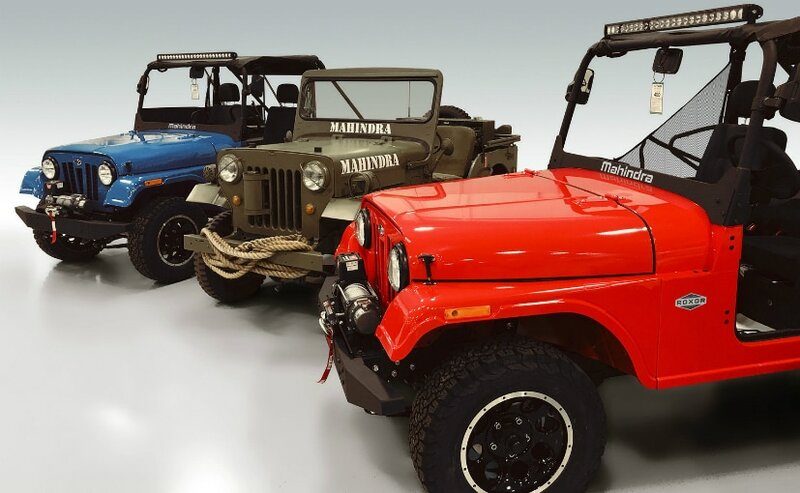 The Mahindra Roxor will be sold under the Mahindra North America or 'MANA' in the United States. The new Roxor is essentially based on the Mahindra Thar but features a long list of changes including a new front end to avoid conflict of interest with the Jeep brand's design language in the United States. The Roxor will also be a more basic vehicle as compared to the Thar with no doors and no hard top roof minus the windscreen. 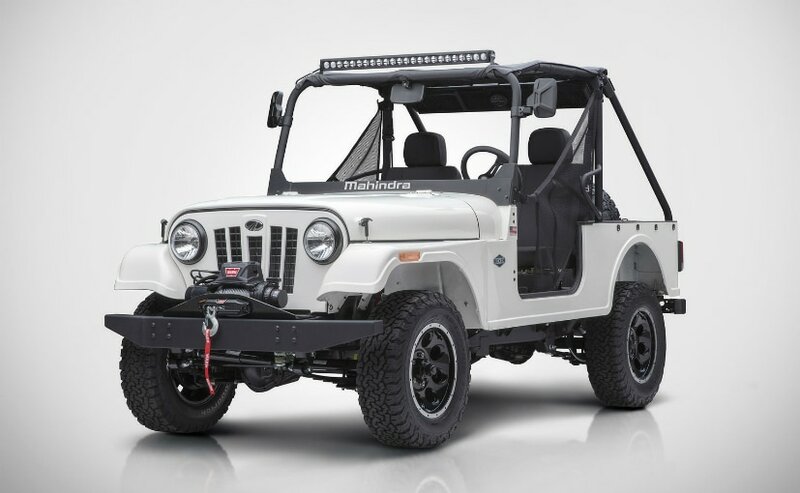 The Mahindra Roxor will essentially be targeted to the side-by-side off road vehicle segment in the United States. The Roxor will also feature a more barebones interior with a steel dashboard as compared to the plastic dashboard that is available in the likes of the Thar. The Mahindra Roxor will be available with a whole bunch of accessories including heavy duty winches, light bars, off-road wheels, etc. The Mahindra Roxor also features simple seats up front and a heavy duty grab handle for the passenger side mounted on the dashboard. The dashboard also features a simple gauge cluster mounted in the middle while the central console has America's favourite in car feature - cup holders! In terms of mechanical bits, the Mahindra Roxor features a 2.5-litre, 4-cylinder turbo diesel engine. The engine puts out a modest 62 bhp. The Roxor of course is available in left hand drive as is the norm in the United States and features a manual gearbox along with a traditional manual four-wheel-drive shifter.